HDIS: Spotlight and Save on a Conair Soothing Sound Machine! 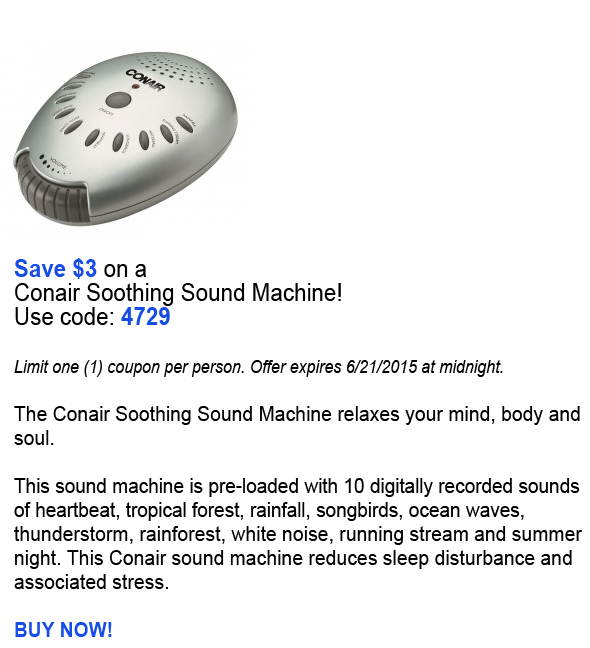 Spotlight and Save on a Conair Soothing Sound Machine! New Items Added to Clearance!